Of course we will tell you that you should come to Egypt – we love our country and we want to share it with you. 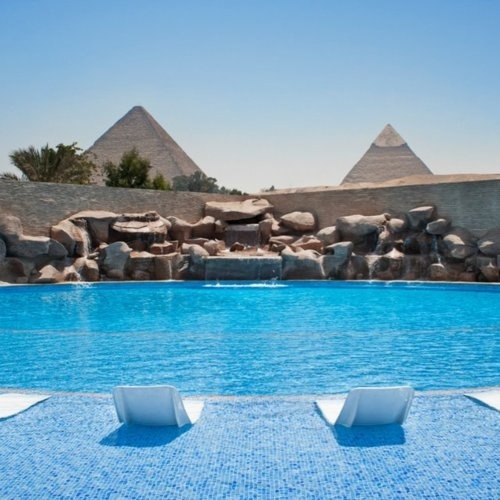 But others are also saying it is time you made Egypt your next holiday, or even the location for your next conference or staff incentive…. Egypt hasn’t had the best reputation of late, what with violent uprisings, Tahir Square and terrorist scares. But as PAUL JUDGE found out, this idyllic and incredibly historical nation is on the rise to greatness once more, and for tourists – is the ideal holiday getaway. The diving industry is making a comeback in Egypt, particularly in the Red Sea resort town of Dahab, which boasts some of the world’s best diving sites, such as the Canyon, where these divers are seen testing the waters.